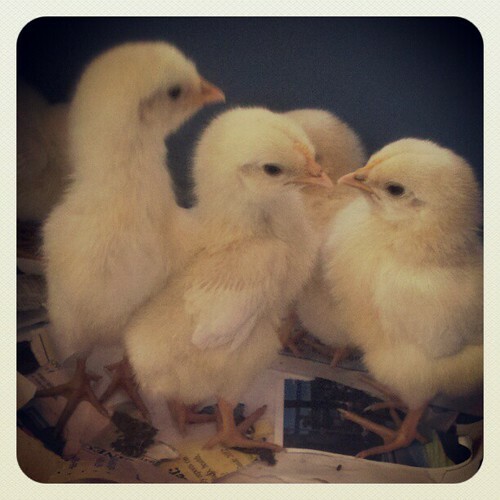 We took on a new batch of baby chicks! 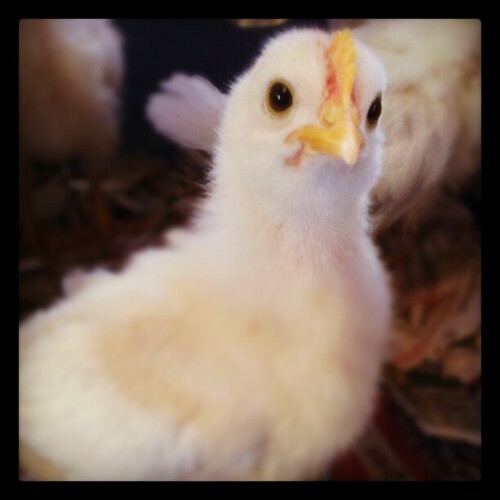 They were, I kid you not, hatched from a dozen fertile eggs purchased at Trader Joe's and put under a broody chicken. Nine of the 12 hatched. The woman who tried this grand experiment couldn't keep them so they live with us now spending their time on our stove top where it's warm and dry. At least two are starting to look like roosters. So who knows how many will be laying hens and how many will go the way of the soup pot. I know. It's totally terrible to say "soup pot" and then show you that face. I'm, admittedly, broken. But that's life on the "farm".